I absolutely love things that smell good. I have an extensive candle collection, there is just something about a great smelling home that gives off a positive feeling to me. Since I have become a mom, I am very careful about having an open flame around Noah. He thinks that all candles are birthday candles and tries to blow them out. I have them up high enough where he can’t reach them but it still makes me nervous. So, when I had the opportunity to review a product from MyScentEssence I was really excited for a few reasons. The first reason it is a smell good product. The second reason is there is no flame. The third reason is it is electric. I was thinking back to when I would go visit my grandma in her assisted living community. I would always see those signs where it would say no smoking or open flame, Oxygen in use. I remember thinking that stinks because they can’t have candles or anything to make their rooms smell nice or the atmosphere that a nice thing like a candle would give off. I am not sure why that thought popped in my head at the time that I first heard about MyScentEssence but it did. This would be a great product for anyone even older people. This product breathes a sigh of relief when you can just turn it on and let it go and not have to worry about it. 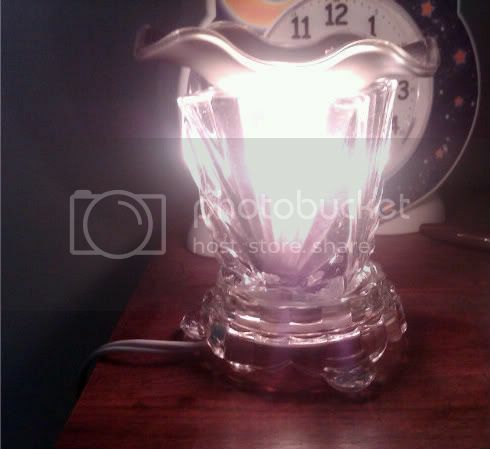 It has many different types of scents and warmers. I just put in 12 of the little scent shakes and that lasts for 24 hours. I am sure most of you that have been reading for a long time know about how much I love tarts. Well, the worst thing about a tart was getting it out of the warmer. I actually broke one of my tart warmers by putting it in the freezer and it falling out. With the MyScentEssence warmers all you do it turn it off, let it harden and take your nail and make a little scratch on the side and it pops out. You could save the little “discs” and put them in a drawer for a nice subtle refresher kind of like a sachet. That is a great way to repurpose them. I love the MyScentEssence warmer I own. I use it all the time. I have quite a few different scent shakes. They are always having sales so I picked some up for cheap! My two favorite scents are Very Vanilla which just smells so good and clean to me and Country Apple. I love the scent of apples. Country Apple smells just like one of my favorite bath and body scents. You can get a 2 ounce package of Scent Shakes for $4.50 which burns for many many hours because you only use 12. If you think about it, 1 little piece lasts for 2 hours which makes it extremely affordable. I really like MyScentEssence so much that I decided I would start selling it. I haven’t really sold anything like this before but it is an exciting adventure to embark on. Thank you to MyScentEssence and MommyPR for this wonderful opportunity and providing me with a complimentary electric warmer and 2 Scent Shakes to try out for my review. One lucky winner will win a Onyx Fan Electric warmer and two packages of scent shakes in the scents of their choice. Mandatory Entry: Visit the MyScentEssence website and take a look around and tell me what 2 scent shakes you would love to try out. Follow @Sheilacakes7 AND @Scentessence on Twitter and Tweet about this giveaway including a link to this post. This can be done once a day. This giveaway will end on September 2, 2010 at 11:59 pm EST. Hi! I follow your blog by email. I would like to try the Lilacs and Lavender scent. I'd like to try Pink Cotton and Tropical Punch. Love the Sparkling Berry and Red Grapefruit scents. I would love to try the Coconut Breeze and Country Apple scents. Sparkling berry would be wonderful. Keeping my home smelling fresh is a constant activity for me. My husbands' colostomy bag leaks sometimes and no one should ever have to smell that. The MyScent Essence would help a whole lot. I like the sound of French Vanilla Coffee and the Dreamer Scent. I would like to try the Lilac and the Sugar Cookies scent. I subscribe to the MyScentEssence newsletter. I would choose the Sizzling Cinnamon ScentShakes and Sparkling Berry ScentShakes. I'd like to try the Cinna Cookie Dough and the Country Apple Scent. I like the Banana Pudding and Linen Filled air scent shakes. I like Glazed Cinnamon Roll and Sugar Spritzer. 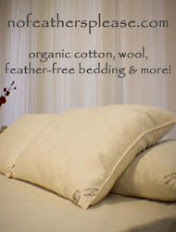 I'd love to try Egyptian Sheets and Joyful! I would love to try the Fried Ice Cream and Vanillatine Scents. I am a My Scent Essence Newsletter Subscriber as jweezie43[at]gmail[dot]com. I would love to try the Egyptian Sheets and the Dreamer scents. Thank you for the lovely giveaway. I would like rain showers and tropical punch. Lilac is my fave, waterfalls sounds great too! I like the Bonfire and the Vanilla Sands scents. pomegranate and creamy vanilla pie.